Make your kids learn the alphabet A to Z in a fun way with 26 original songs, one for every letter. Every alphabet introduces the child to four things/animals which start with that letter. Every character and alphabet is interactive - moves and makes sound on touch. Also features the ABC alphabet song. 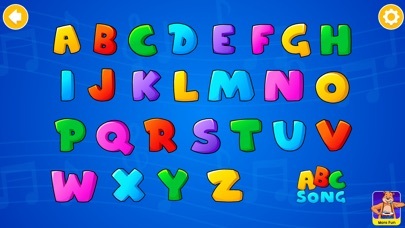 This app well exceeds my expectations for an app to teach the alphabet through song. - Heather, SmartAppsforKids.com Features: - Colorful, cute and funny characters. - Very easy to use. Children can use the app all alone. - 26 original songs with lyrics highlighted as the song plays. - Totally interactive. Songs A to D are free. The remaining can be unlocked with a single in-app purchase.